Greetings from Dublin! Mary Reinthal (’16) and I are attending the annual conference of the Volcano and Magmatic Studies Group (#VMSG2016) at Trinity College. Volcanologists, petrologists, geochemists, and geophysicists have gathered to share their research on igneous topics ranging from large igneous provinces (LIPs) to volcanic hazards. 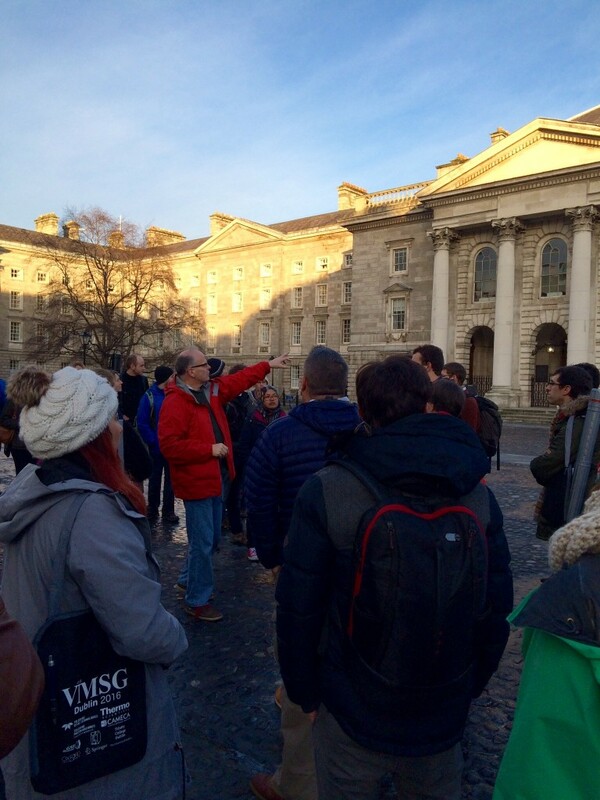 We started the conference, appropriately, with a tour of the architecture and building stones on Trinity’s campus. The tour began in Parliament Square, so named for the Parliament that supported the construction of the surrounding buildings during the 1700s. In the background, you see the Chapel (1787-98), which is composed of the golden brown, granular Leinster granite. The windows are surrounded by Portland Stone, a fossiliferous limestone from Dorset. 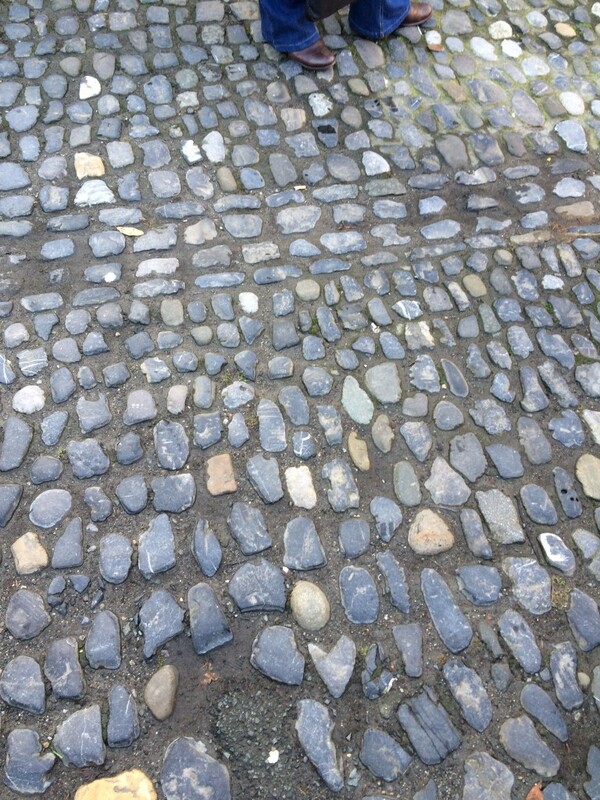 The floor of the square is paved with polished glacial cobbles of a variety of lithologies, including limestone and andesite. 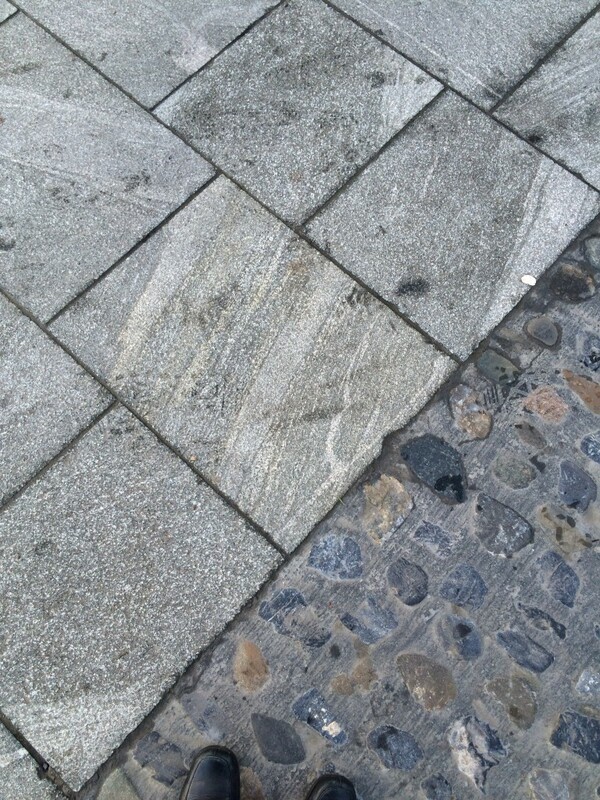 Walkways of gneiss from China were added later to make the square more accessible. Our last stop was the Museum Building, which houses the Geology and Engineering Departments. The building was recently cleaned in a painstaking effort that lasted ~4 years and involved the removal of gypsum deposits by dental drill and soot by a slow stream of water, but it was worth the effort. 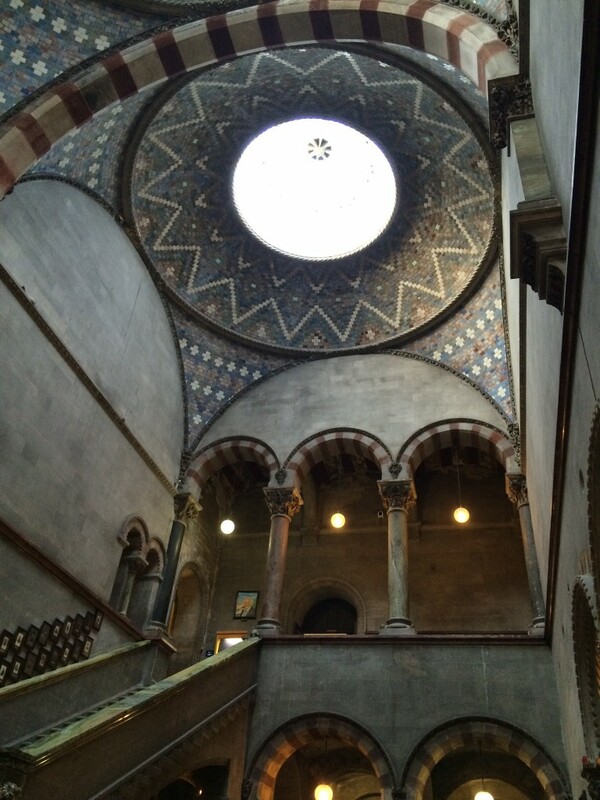 The architectural details of the Museum Building are breathtaking. On the exterior, the Portland Stone features intricate and unique carvings of leaves, birds, cats and mice, and other natural objects. 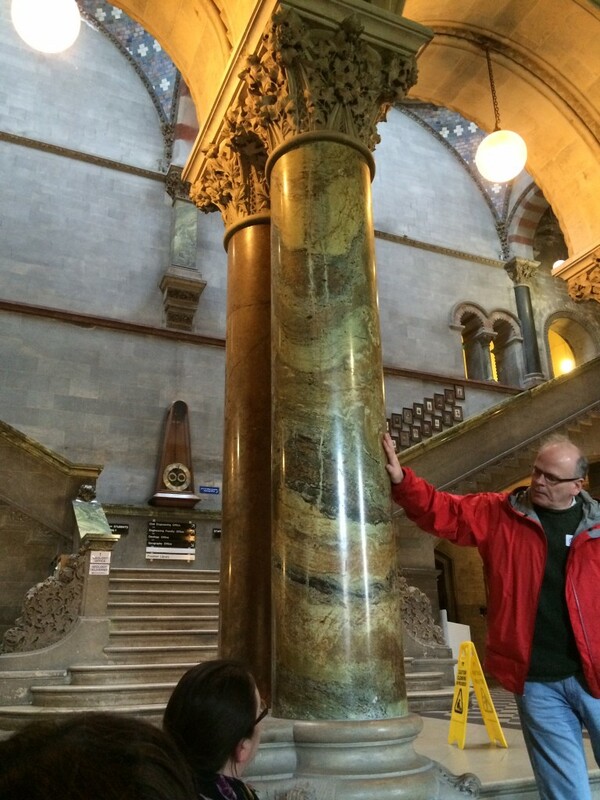 Inside the building, visitors are greeted with robust pillars of limestone or Connemara marble. Step past the pillars and you’ll be awed by a soaring, colorful enameled brick ceiling. The Museum Building was the perfect venue for tonight’s conference ice-breaker, where we were finally able to connect faces to familiar names. Overall, it was a successful introduction to a vibrant and welcoming community of scientists. Tomorrow, Mary becomes an official member of that community when she’ll present her research on water on subglacial volcanics. Fantastic! And my goodness, that’s my friend Patrick Wyse Jackson in the red jacket and pointing in the top image. Please give him my best wishes, and tell Mary he’s the author of her paleontology textbook. Great post. Have fun! And good luck to Mary with her presentation!